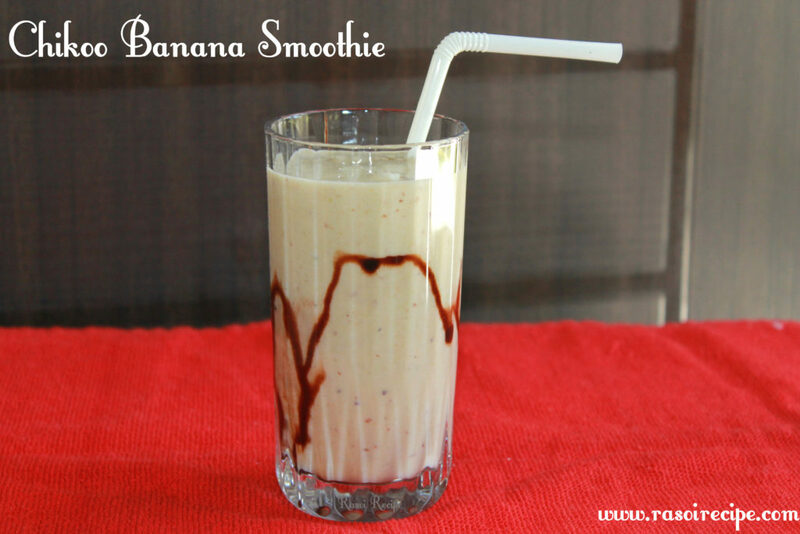 Today’s recipe is ‘Chikoo Banana Smoothie’. Smoothie is one of the favourite beverage of summer seasons. 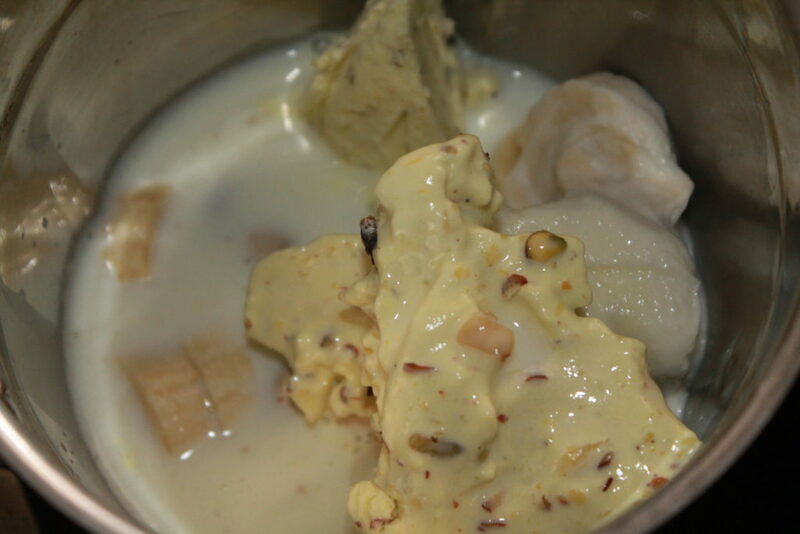 As summer is approaching fast, give this recipe a try and make the scorching hot day more bearable. 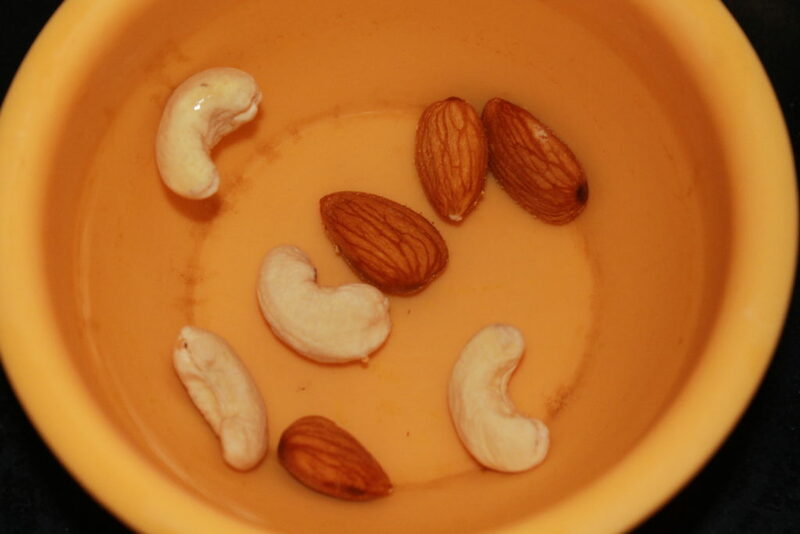 It is the best way to increase your and your family’s intake of fruits in a day. 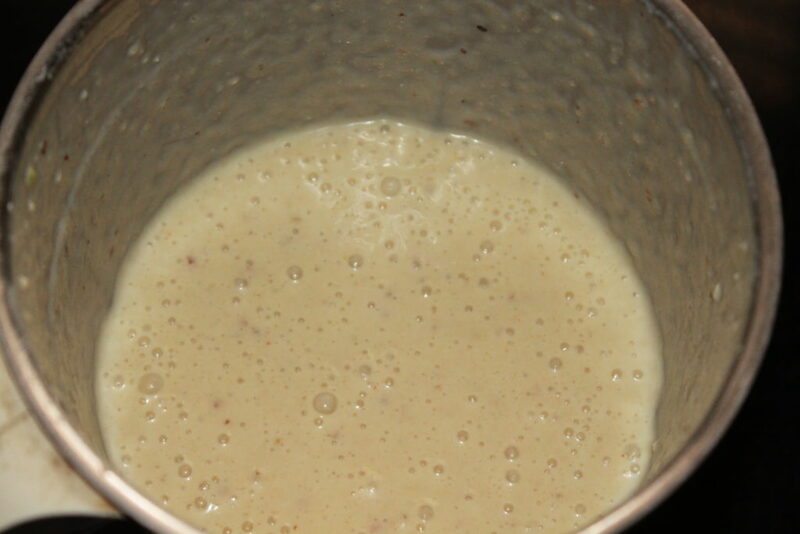 Smoothies are very filling and could be the best choice for a mid-meal option. 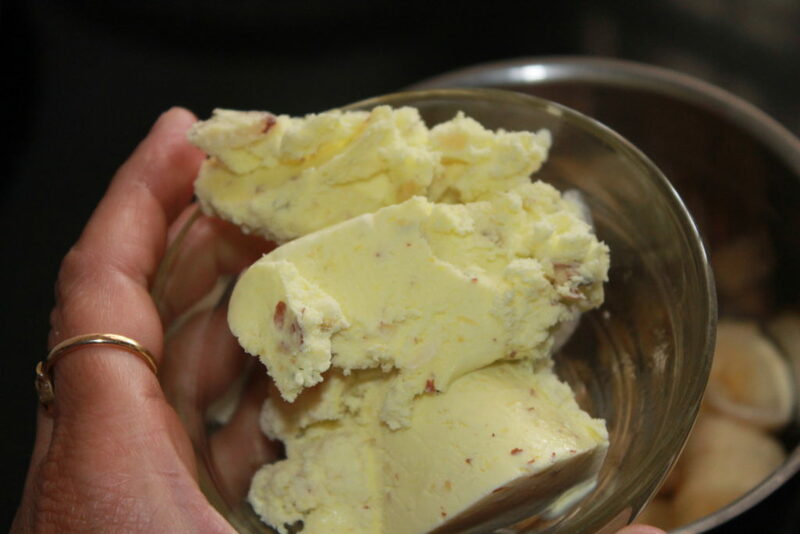 For Chikoo Banana Smoothie, you will require – chikoo, banana, milk, ice cream, and dry fruits. 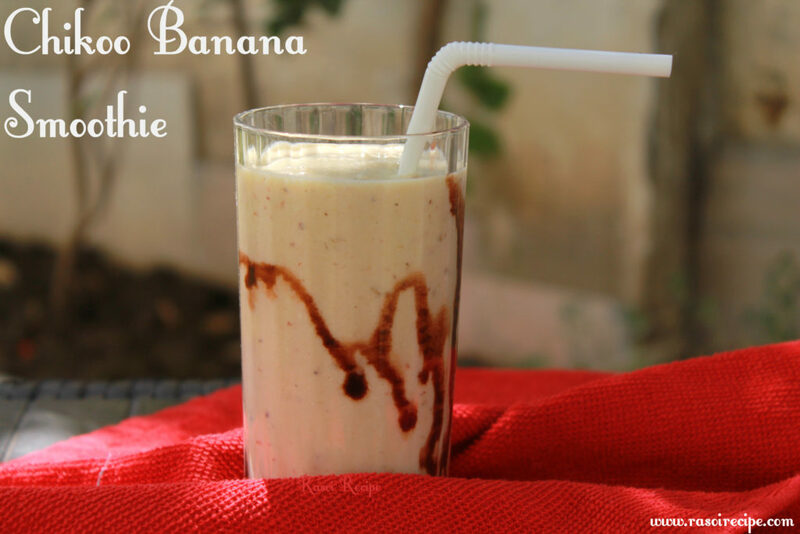 In this recipe, you can add any ice cream flavour of your choice to this smoothie. As far as sweetness is a concern, I have not used sugar or any other form of sweetener for my smoothie as my fruits were very sweet in taste. 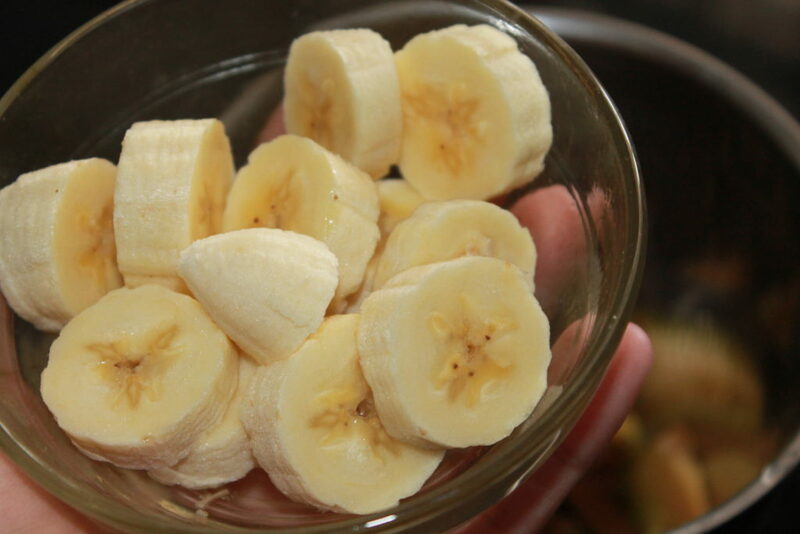 You can use honey or any other natural sweeteners to sweeten your smoothie. 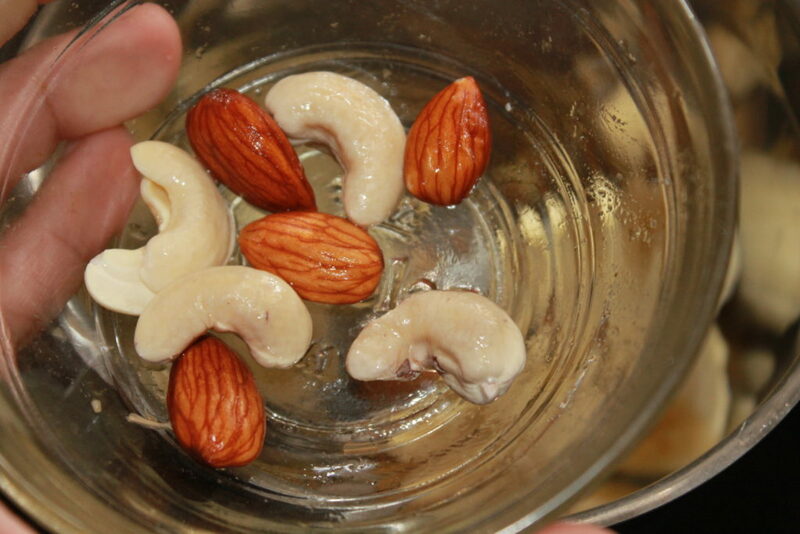 In warm water soak almond and cashew nuts for at least 30 mins. 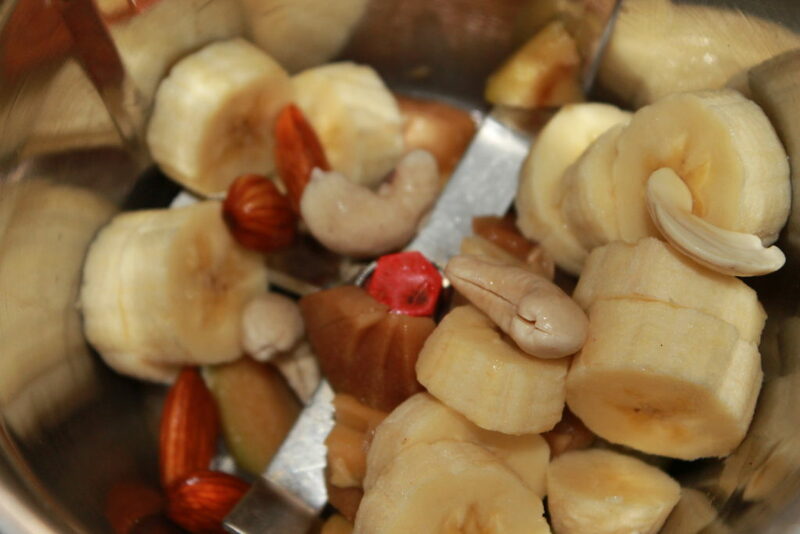 In a blender, add chopped banana and chopped chikoo. 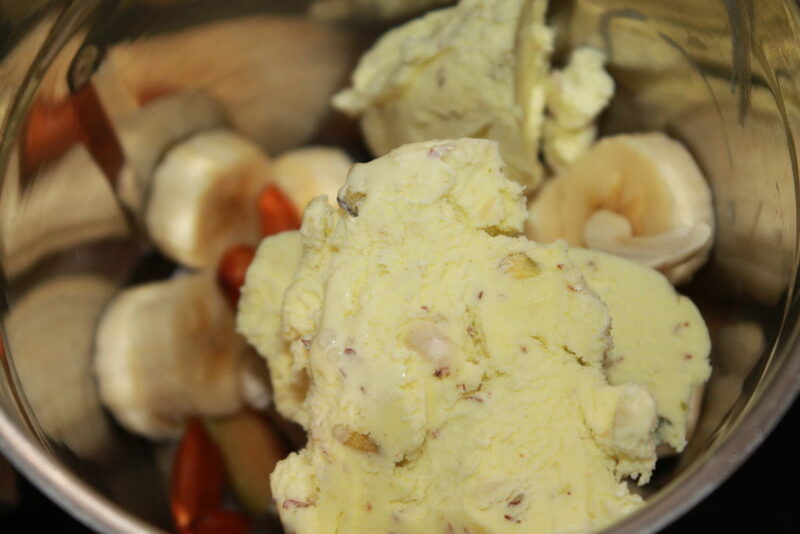 Next, add soaked dry fruits and ice cream (I am using mix dry fruits flavour). 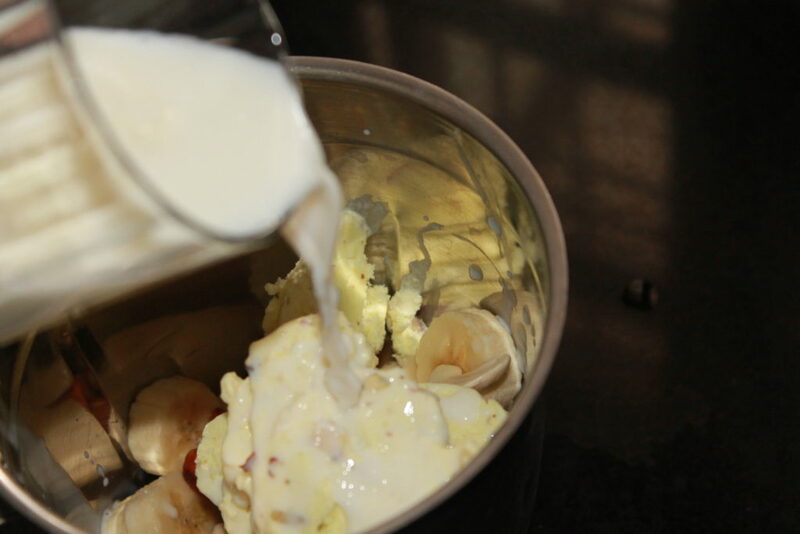 Lastly, add milk to the blender. 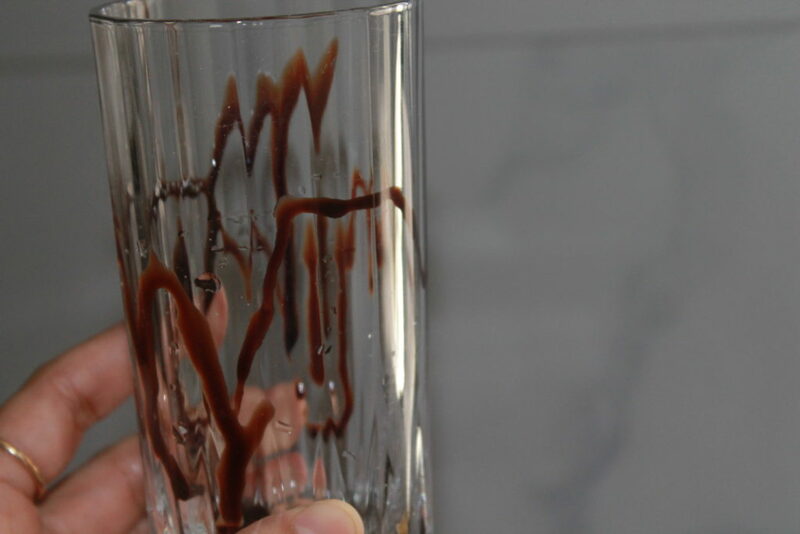 Coat serving glass with chocolate syrup. 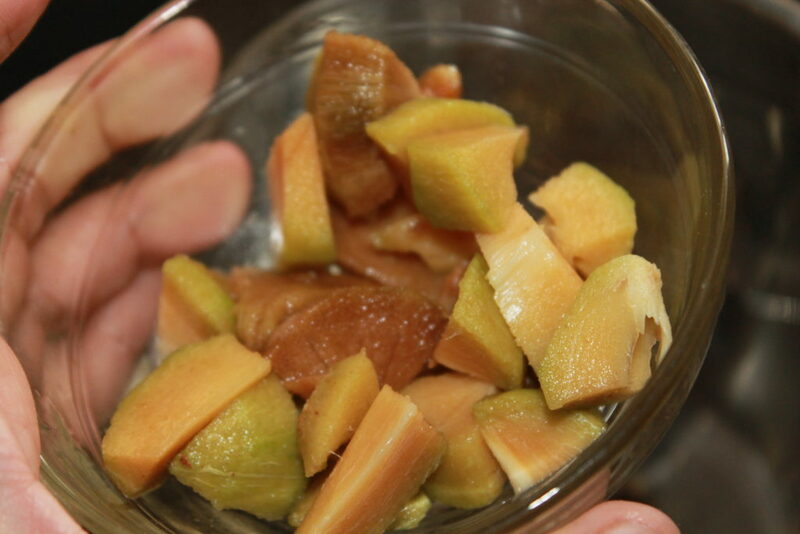 Pour smoothie into the glass and serve chilled.